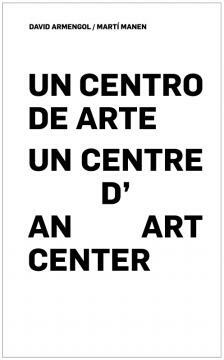 An art centre, think about it as a possibility. 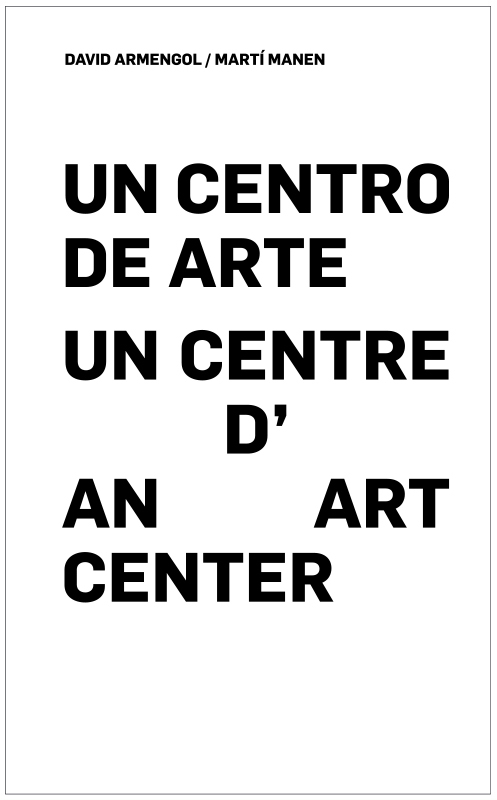 During the exhibition season of 2014, David Armengol and Martí Manen tested out a live art centre after winning a call to compete to be in charge of the programme for a space yet to be defined, called Fabra i Coats Centre d’Art Contemporani, in Barcelona. A programme of exhibitions requires a communication system, an educational project and tools to manage it. Armengol and Manen reacted to these needs and to the thirst for a context to offer a grammar for spelling out art, texts and possibilities for connection. This book explains the process, the decision making and provides a vivid take on the specific moment. It also serves as an archive of activities, shows, contact with artists and other institutions, whilst never forgetting the real people who visited this art centre. Layers of reading that branch off, extend and are defined before our very eyes. Layers of readings between generations, between contexts, between languages, between times, between ways of understanding what makes something art,what makes something literature.This is how the chronicles and narratives in The Text: First Notions and Findings take shape. David Armgengol and Marti Manen have been working as a curatorial team and also individually. Armengol and Manen have been experimenting on institutional processes for the artistic production. In 2004 they curated the project P_O4: Office (Terrassa), occupying an industrial building that became a series of conceptual offices directed by artists. Together they were directing the program The Text: First Notions and Findings at Fabra I Coats contemporary art centre in Barcelona (2013-2014) that ends with the publication of the book, published by consonni, An Art Centre. They have been working individually about the narrative in art, emotional possibilities within artistic production and the idea of the exhibition itself. Both have been working for educational structures and have been curating exhibitions in several countries, independently and for institutions.